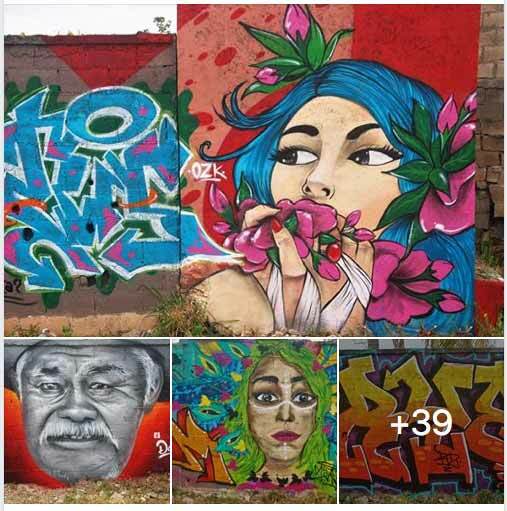 Register Log In AmbergrisCaye.com Home Forums Corozal Corozal House of Culture Hosts Graffiti Fest 2019! The National Institute of Culture and History (NICH), through the Museum of Belize, invites you to the Corozal House of Culture's inaugural event of 2019. 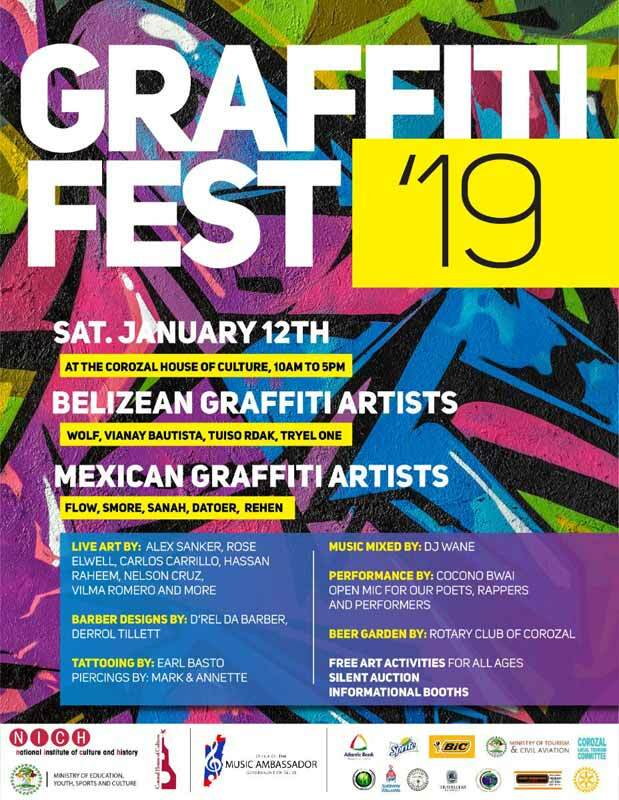 We are delighted to present Graffiti Fest ’19, a dynamic platform of artistic expression through cultural exchange featuring Belizean and neighbouring artists from Chetumal, Mexico. Join us at 10:00 AM on Saturday, January 12, 2019 at the Corozal House of Culture for a day of creativity as our Belizean and Mexican Graffiti artists create impactful images. We will also be showcasing various forms of “live art” including painting, sculpting, organic art, welding, barber designs, tattooing, piercing, make-up and more. DJ Wane will be supplying a multi-genre mix of music, while we have an “Open Mic” for our poets, rappers, singers and performers. The feature musical and cultural performance for this event will be a live performance by 'Cocono Bwai'. Come on out for a great day of culture, creativity and community with art activities for all ages, a silent auction fundraiser, informational booths and more! This Video Documentary is a prime example of multi-media artist coming together to showcase their talents under one platform. GRAFFITI FEST '19 in Corozal Belize represented a cross-section of many genres from many races creeds and colors. COULD THIS BE A MAGIC FORMULA to help paint a positive example of a future world unfolding in Belize? What an incredible day, Graffiti Fest '19 embraced many forms of art but the main attraction was the amazing talent on the walls ...we must big up our Belizean Graffiti artists- Vianay Bautista, Wilfred Perez, Robert Ramirez, Jahvier Tuisone and Steve Mossiah- and the Mexican crew- Diego Pootnaal, Alan Sanchez, Ana Balam Chan, Adnol Cetina, Filberto Pacheco and Victor Arrellano. Big up to our poets, and singers who stepped up to the Mic, thank you to Cocono Bwai for his great performance. So many sponsors supported this event, without them this would have been impossible. Thank you to our artists who donated a piece of art towards the silent auction fundraiser, of which 1336.00 was raised. We also wish to thank Dr. Luis Montero the Honorary Consul of Belize in Chetumal for his kind assistance with transportation of the Mexican artists and for making sure they all had a good breakfast here in Corozal before they arrived at the festival. Thank you to our "Live Art" artists for creating! Thank you to our NGO's, our community, we are so very grateful for everyone's support...lookout for the" Corozal Graffiti Festival" in 2020! !